The third Grand Prix of the season welcomed new faces to the National Volleyball Centre as Lavia København joined the action for what was a truly entertaining event. According to Søren Sørensen, Chairman for Lavia København, they are the biggest organisation for disability sports in Copenhagen. 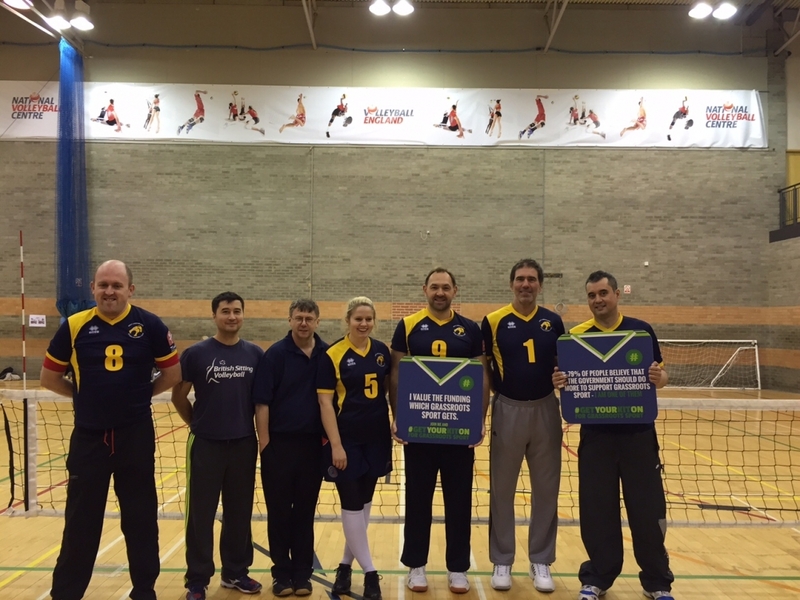 Offering 8 different sports ranging from archery to basketball to sitting volleyball. They are always trying to spread the good story of sitting volleyball in Denmark and with this their sitting volleyball team holds the Copenhagen Sit Cup every November. 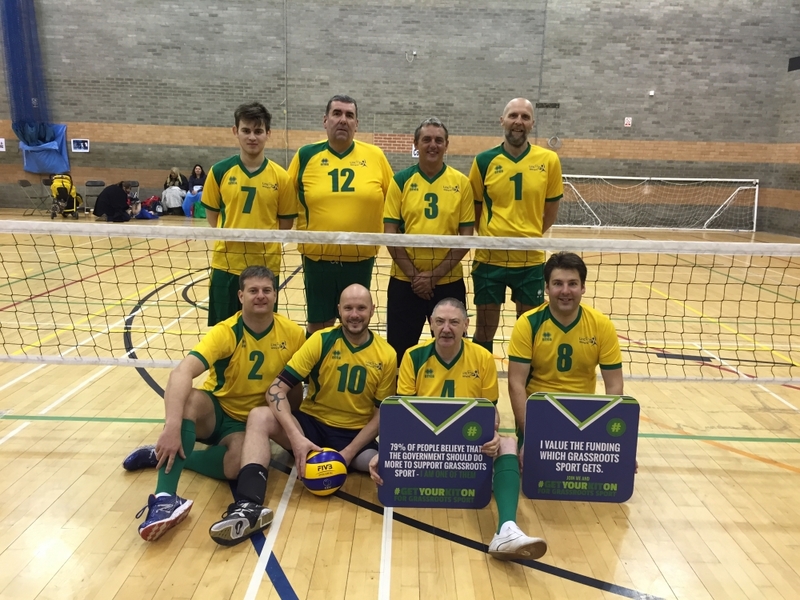 Volleyball friends from all over Europe, including our very own East London Lynx have taken part in the annual tournament. 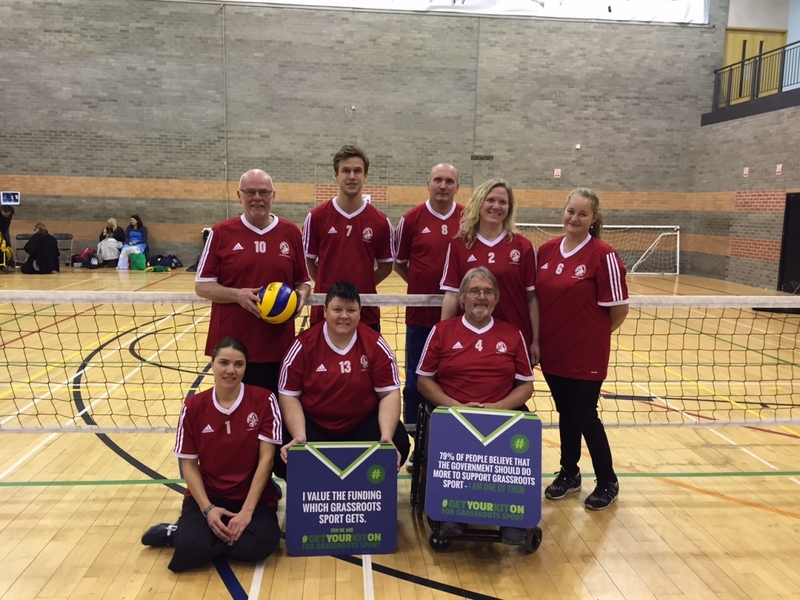 Lavia København get inspiration by travelling to tournaments in Germany and England, having travelled to England a number of times now to participate in sitting volleyball competitions. Lavia København joined Tier 2 as a Wildcard entrant. In Tier 2, Lavia København got off to a fast start showing that their travels had not affected their play as they set about dominating the Tier. It was not plain sailing for them though as they came up against a resilient force in the shape of Portsmouth Sharks. Despite losing the first set 25-20 the Sharks fought had to level the match at 1-1 with a 25-19 second set victory. The third set was a tense affair with the Sharks narrowly losing out to their European counterparts in a closely fought set 15-11, it could have gone either way. Portsmouth Sharks were the stronger outfit in their remaining matches with Canterbury Wyverns coming closest to winning a set of them. The battle for third place in the Tier was fiercely contested. Help4Heroes Phoenix B and Canterbury Wyverns played a fascinating match, Help4Heroes Phoenix B had the edge in the first set, with Wyverns coming back strong in the second, the third set could have gone either way but some strong serving and good three touch volleyball towards the end of the set saw Help4Heroes Phoenix B claim the win 2-1 (25-16, 14-25, 15-11). The next match saw Help4Heroes Phoenix B take on Essex Pirates, the Pirates won the first set at ease looking like they had another gear, but the 2nd set went the way of a spirited Help4Heroes side, with it all to play for in the third set the Help4Heroes side appeared to run out of steam as Essex Pirates found the next gear to take the match 2-1 (25-20, 22-25, 15-4). 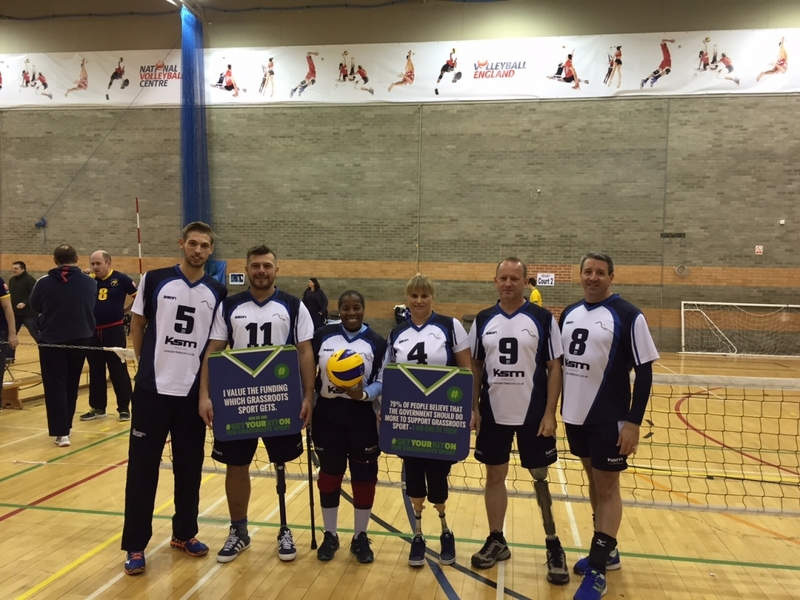 Essex Pirates again showed their strong serving and all round team play against Canterbury Wyverns in a two set victory. Despite the Pirates beating both Canterbury Wyverns and Help4Heroes Phoenix B, it was in fact the Help4Heroes side who claimed third spot thanks to the bonus point system*. Portsmouth Sharks will be promoted to Tier 1 for the next Grand Prix. *in Tier 2, up to a maximum of 6 bonus points can be awarded per match for each disabled players that is on court for a completed rally. 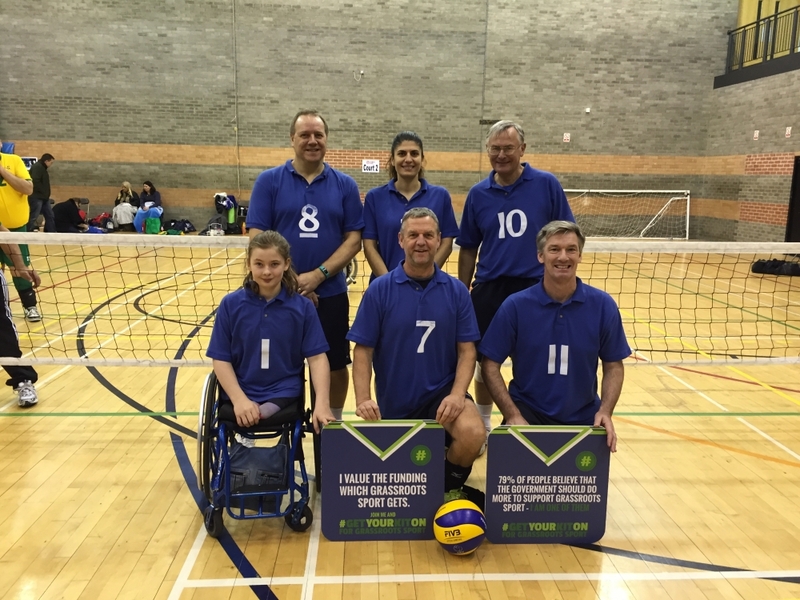 Tier 2 MVP’s – Jess Dowdeswell, Essex Pirates, Carolyne Dufley, H4H Phoenix B and Richard Osborne, Portsmouth Sharks. 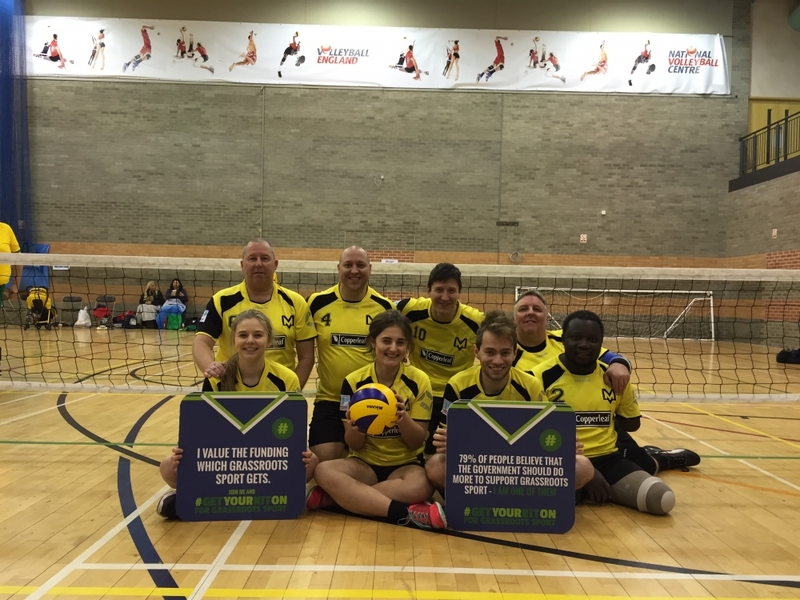 Tier 1 defending champions, East London Lynx once again secured top spot with victories against all of their opposition, Lincoln Imps pushed them closest to dropping a set with East London Lynx narrowly edging the 2nd set of their encounter 27-25. The major talking points were elsewhere though as 3 Teams had come into the Grand Prix tied for 2nd place, and Manchester Marvels making their much anticipated Tier 1 debut. 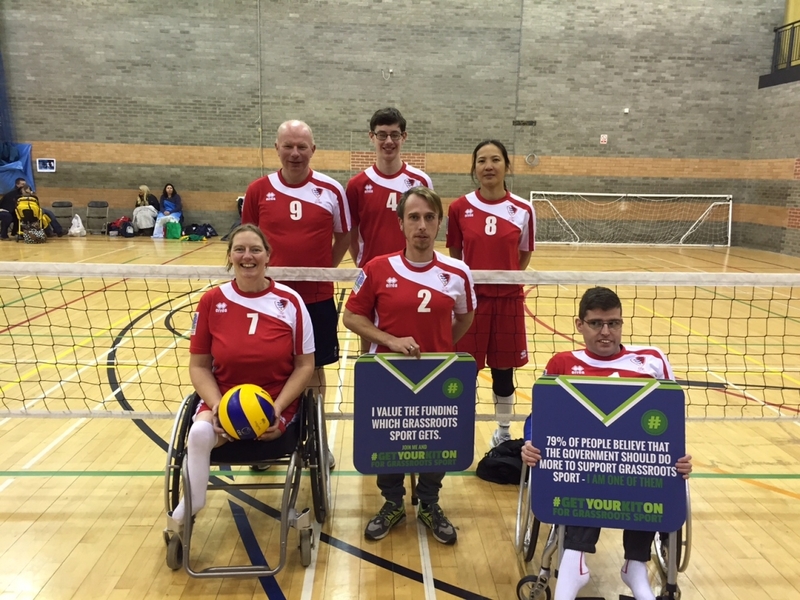 Help4Heroes Phoenix A, Lincoln Imps and Newcastle Staffs were all square coming into the Grand Prix all on 32 points in the Series standings. With no possibility of it being a draw after this event everything was up for grabs in the race for those all-important Semi Finals spots. Newcastle Staffs played Help4Heroes Phoenix A first up and led from the start and Help4Heroes Phoenix A couldn’t seem to find the answer, Staffs took the victory 2-0 (25-18, 25-15). 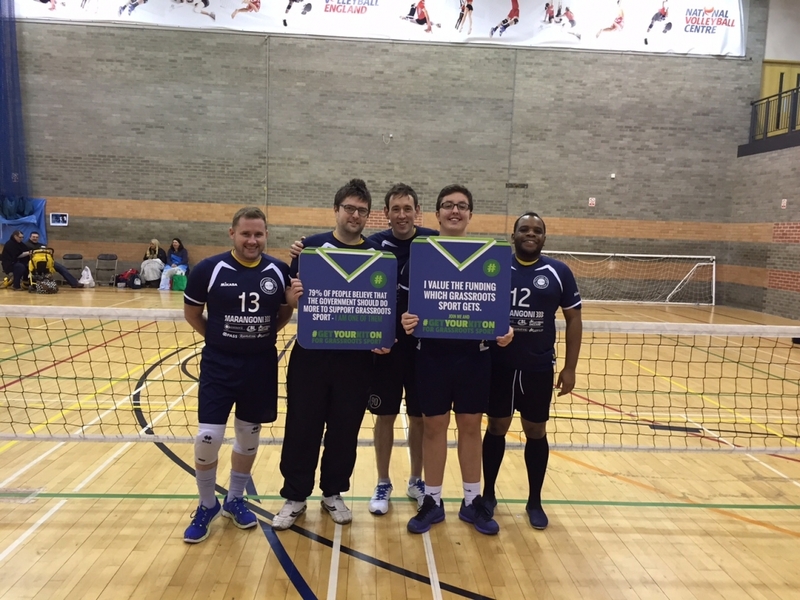 In the next match between the three teams, Help4Heroes Phoenix A took on Lincoln Imps, Lincoln had already shown they were up for a fight with a narrow defeat against Lynx and went into this match expecting some points. Lincoln battled well in a close encounter taking the match 2-0 (25-21, 28-26). The final match between the three teams was set up as a decider as to who would finish second at this Grand Prix and remain in second in the overall standings. Newcastle Staffs seemed to have too much for Lincoln in the first set, but in true Imps fashion they didn’t give up and came back fighting, however it wasn’t quite enough as Newcastle Staffs won the match 2-0 (25-16, 27-25). Commiserations to Lincoln who seemed to be in close battles all day long. It was a tough day for a spirited Manchester Marvels Team, they pushed teams close and could have seen a different results had they been able to change narrow set losses into victories, but nonetheless it was a good experience for an up and coming side, the Marvels eventually finished 5th, and will therefore be in Tier 2 for the next Grand Prix. 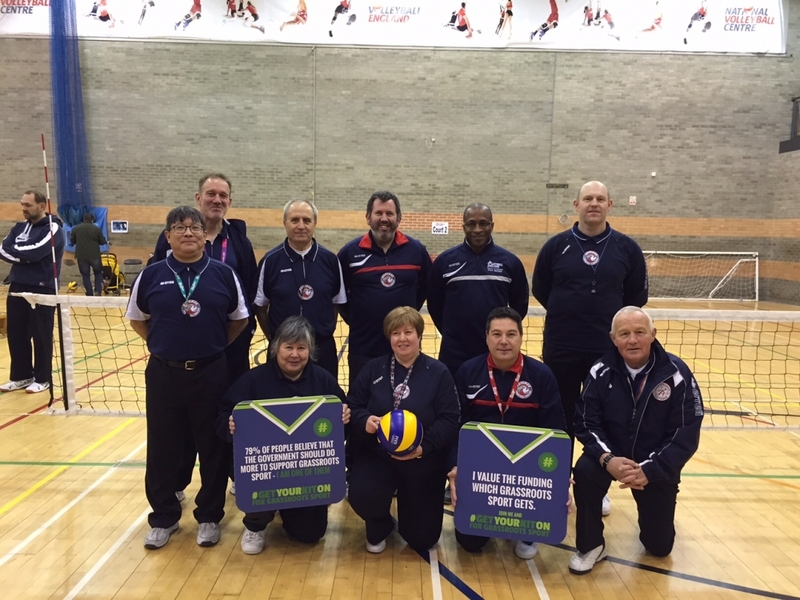 Tier 1 saw 5 players as joint MVP demonstrating how close the teams were on the day – John Munro, East London Lynx; Ned Groj, East London Lynx; Frank Aveh, H4H Phoenix A; Howard Ainsworth, Manchester Marvels; and Lamin Manneh, Manchester Marvels. 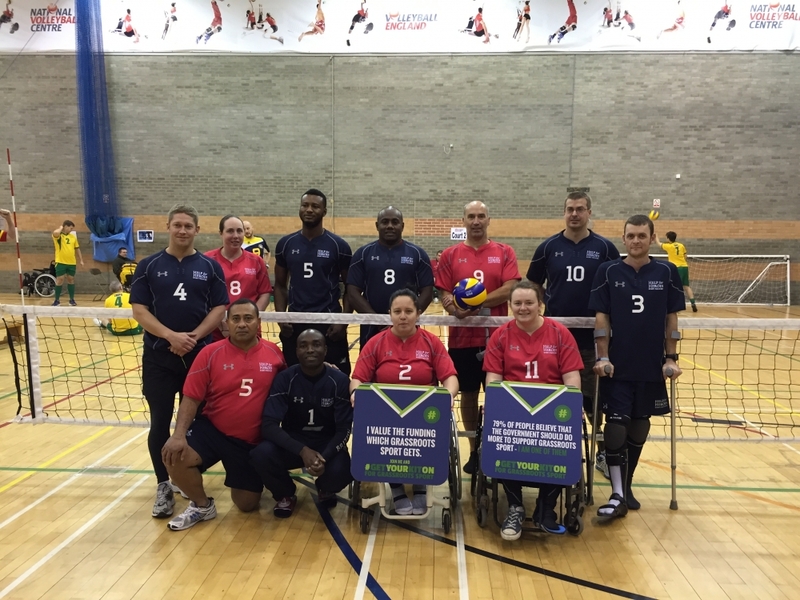 For more information about the Sitting Volleyball Grand Prix Series please click here. For the results from the 3rd Grand Prix please click here.